The musical comedy Urinetown opened in 2001 and ran for 965 performances, not a bad run by Broadway standards. The show, which is still performed in theaters around the country, is a melodramatic farce: a town tries to deal with a water shortage by mandating that all townspeople use pay toilets controlled by a malevolent private utility. Despite the play’s premise, pay toilets are a solution to the very real problem of finding decent facilities, or any facility, in which to relieve oneself in public places. Anyone who has ever strolled the streets of a city has encountered this problem from time-to-time. But in the U.S., where local budgets are typically strapped, the choice is often between scarce and decrepit free toilets or no toilets at all. Otherwise, those seeking relief must rely on the kindness business owners or pass laws allowing non-patrons to commandeer businesses’ bathrooms at will. Toilets with user fees, however, are an alternative that should get more emphasis. In part, the theme of Urinetown reflects a longstanding notion among anti-capitalists that pay toilets are a disgustingly unfair solution to these urgent needs. One can imagine the logic: everyone has a need and a right to make waste, so we should all have access to sparkling public toilets for free! There is also the presumed misogyny of charging at stalls but not urinals (which are cheaper to maintain, after all), but overcoming that problem should not present a great technical hurdle. And surely pay toilets could be made to accept EBT cards, or locally-issued pee-for-free cards for the homeless. Yes, we all make waste. However, most of us are so modest and fastidious that we quite literally “internalize the externality” we’d otherwise impose on others were we to seek relief in the street or behind trees in the park. We hold it and sometimes incur high costs in search of a restroom. Those are costs many of us would willingly pay to avoid. As Alex Tabarrok says in “Legalize Pay Toilets“, outrage over pay toilets, very much like the kind expressed in Urinetown, is what led to outright bans on pay toilets in America during the 1970s (also see Sophie House’s discussion of the need for pay toilets at Citylab). According to Tabarrok, “In 1970 there were some 50,000 pay toilets in America and by 1980 there were almost none.” Many travelers know, however, that pay toilets are fairly commonplace in Europe. In the wake of pay-toilet bans in America, and without the flow of revenue, those one-time pay toilets were not well-maintained nor replaced. In that sense, hostility to the concept of pay toilets is responsible for the paucity and abysmal condition of most public restrooms today. Public restrooms are often plagued by a tragedy of the commons. And when you do see a “free” public restroom in relatively good condition (in an airport, on a turnpike, or elsewhere), it is usually because its costs are cross-subsidized by payments for other goods and services offered in those facilities. It’s not as if you don’t pay for the bathrooms. There is no question of a willingness to pay, but legal obstacles to pay toilets remain. Pay toilets are still very uncommon. New York City actually decriminalized public urination a few years ago, an odd way to deal with the shortage of restrooms. Some cities, such as Philadelphia, have initiated efforts to bring back pay toilets, but they have made little headway. Just last year, the toilet paper producer Charmin ran a successful publicity campaign in New York City by testing a mobile toilet-sharing service (à la Uber ride-sharing) called Charmin Van-GO. The company described the test as a big success in terms of publicity, but apparently the service has not been offered on a continuing basis. The economic problem posed by full bladders and bowels on the public square can be solved with relative efficiency using the price mechanism: pay toilets. 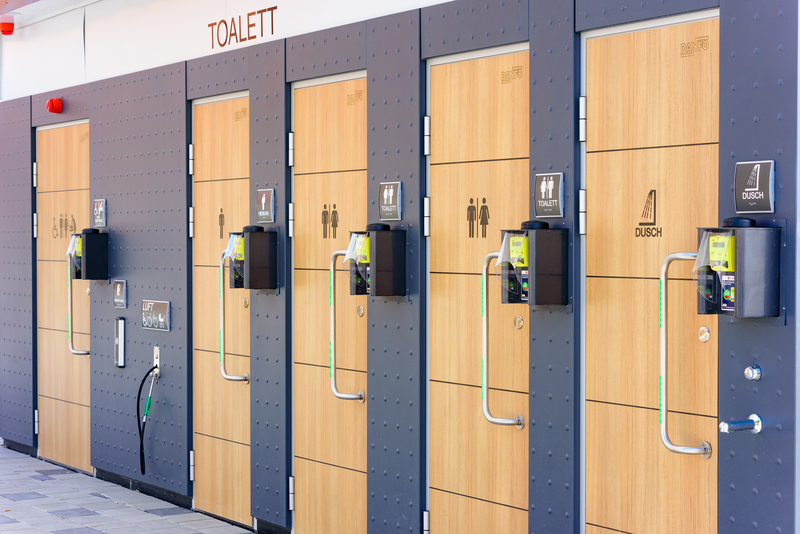 The flow of revenue can defray the costs of restrooms and their maintenance, easing the strain on public budgets and covering the cost of keeping them clean. Pay toilets can be provided publicly or built and operated by private providers. Pricing the use of toilets, whether offered publicly or privately, helps focus resources at the point of need. Free public toilets, in contrast, are scarce and typically unsanitary. Funding public restrooms through taxation, rather than user fees, involves a loss of efficiency because taxpayers are often distinct from actual users. Forcing purveyors of food and drink (or anything of value) to offer bathroom access to “free riders” creates another obvious source of inefficiency. Allowing the use of EBT cards at pay toilets, while overcoming certain objections, would also involve inefficiencies, but at least they’d be limited to subsidies for a small proportion of the bathroom-going public. Given the alternatives under the status quo, our cities would be far more pleasant if they were flush with pay toilets. They are similarly opposed to regulatory cronyism that restrains competition and the sort of public largess favoring lucrative contract awards for large corporate entities. These are the same Koch brothers typically demonized by the Left (but not always), as if their political contributions were an effort to garner public subsidies. Clearly that is not the case. Moreover, Left-leaning billionaires such as Tom Steyer, Michael Bloomberg and George Soros are far more prolific political contributors than the Koch brothers. And what do these corporatists want for their money? Surely not a smaller government; they’d like a big fat administrative state from which their many corporate interests can suckle. Some kinds of subsidies are transparently wasteful, such as tax breaks for already-profitable businesses or bailouts to firms that have made bad decisions, or to firms in dying industries. 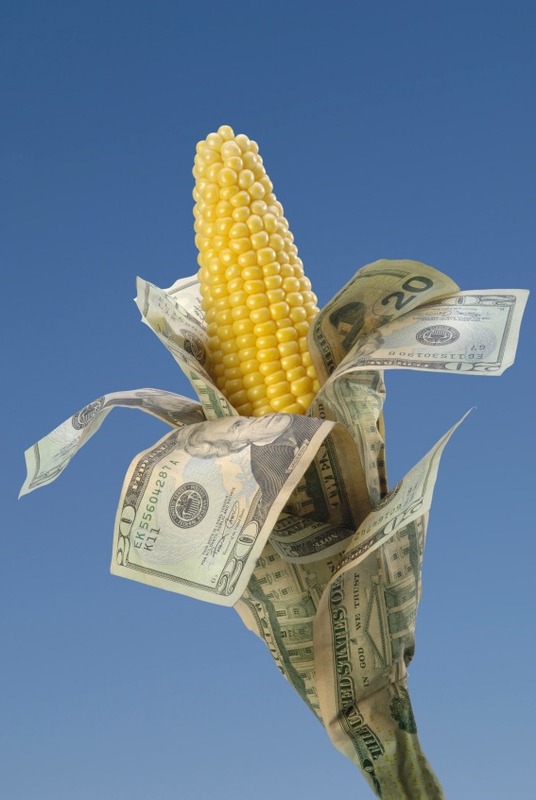 More fundamentally, all public subsidies circumvent the unforgiving cost-benefit calculus imposed by the market, misdirecting resources via signals distorted by the visible fists of government. This often allows activity to continue that would otherwise be judged wasteful or unsustainable, or excessive investment of resources into particular activities. Self-interested politicians and public officials, however, often justify these subsidies by asserting the existence of external benefits unrecognized by market valuations. Too often, these assertions rely on value judgements. Regardless, the supposed benefits are never easily measured. Our experience with pervasive cronyism and waste in government should always lead us to insist on a skeptical evaluation of proposed subsidies. Rent-seeking behavior is usually at the root of such initiatives. Economists often fall victim to the naive view that government technocrats can measure the external costs or benefits of an activity accurately. Having performed the necessary calculations, the idea is that optimal taxes or subsidies can be promulgated through the political process and applied to an activity in order to correct or “internalize” these kinds of social effluents. In their focus on private market failure, many economists fail to appreciate the extent to which governments usually “fail” in these and many other efforts. At best, one might hope that such intrusions are directionally correct, but even that is fraught with risk. A particularly good example involves the presumed social costs of carbon emissions. Carbon tax proposals are very much in vogue, but they are not without controversy. The well-meaning assertions of climate alarmists rely on rather fatuous claims about anthropomorphic warming and an overly broad and unwise application of the precautionary principle. There is a vocal minority of climate researchers who do not believe we have sufficient knowledge about climate sensitivities to make judgements about the true social costs and even some likely benefits of a warmer climate, should that be an ultimate consequence. Moreover, accurately measuring the presumed costs is out of the question. Meanwhile, carbon taxes impose costly burdens in the here and now that are difficult to justify. This response to Irwin Selzer on carbon taxes is worth reading (with a link to Selzer’s article). Here is a review and further links regarding the disastrous Australian carbon tax. And here is Robert Murphy on carbon taxes, in which he discusses some prominent estimates of costs and benefits which show the sometimes enormous danger of setting non-optimal carbon taxes (granting the conceit that an optimal tax is positive). 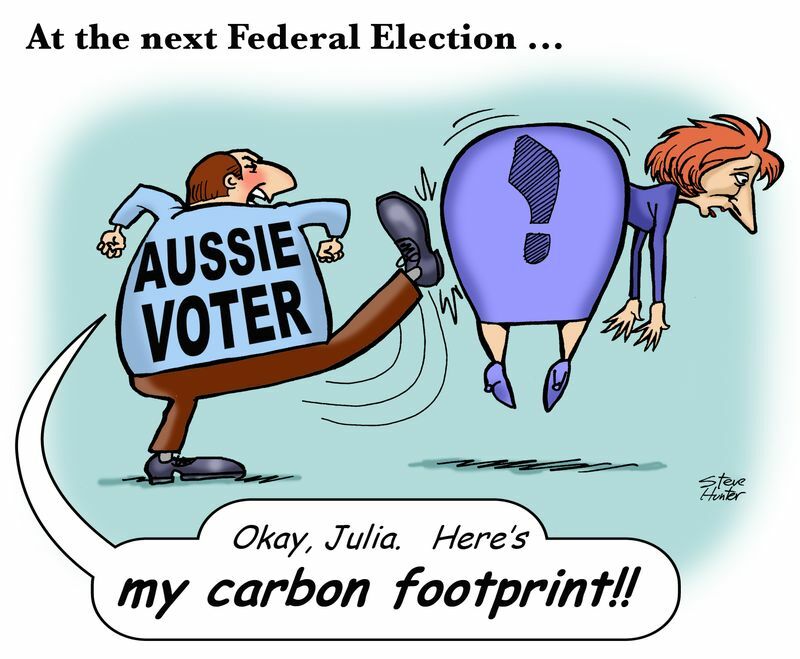 FYI, the unfortunate Julia in the cartoon above refers to Julia Gillard, the former PM of Australia who pushed for the country’s ill-fated carbon tax.